According to one of the unions organizing Verizon workers out on strike this week, two Verizon employees were struck by the passing luxury sports car of one of the corporation's attorneys on Thursday. "One member was not seriously hurt, but the second was taken to the hospital," the CWA reported. When reached for comment, the Gaithersburg police, where this incident reportedly occurred, declined to comment. "We have found zero evidence supporting these claims," a Verizon spokesperson told teleSUR, denying the union's account. "There have been no formal complaints filed and no arrest records." Of course, 40,000 Verizon workers walked off the job this week in America's biggest strike in nearly five years. Both Democratic candidates joined striking Verizon workers in New York earlier this week. The CWA has officially endorsed Bernie Sanders. The other union involved in the Verizon strike, The International Brotherhood of Electrical Workers, allows its local chapters to make their own endorsements, the New York local endorsed Hillary Clinton this week. CWA members would much rather be working, resolving customer issues and building out high speed broadband than being forced to strike to stop their jobs from being sent overseas and being forced to work away from home for up to four months. 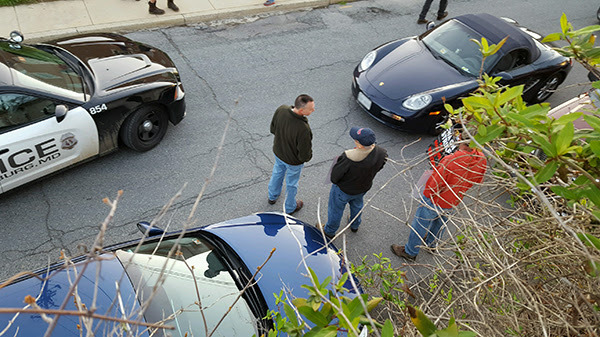 This incident really says it all: Verizon management driving a Porsche hits workers on a picket line. I couldn't have made it up.